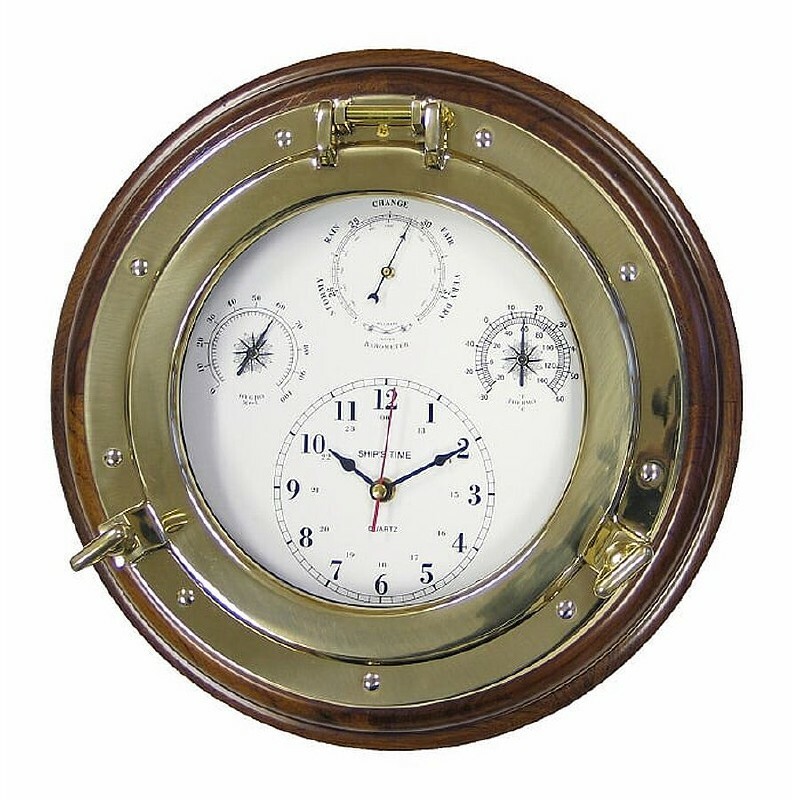 Quartz Clock, Barometer, Hygrometer and Thermometer gives all the necessary weather information. Set in a polished teak base with a lacquered brass porthole style frame. 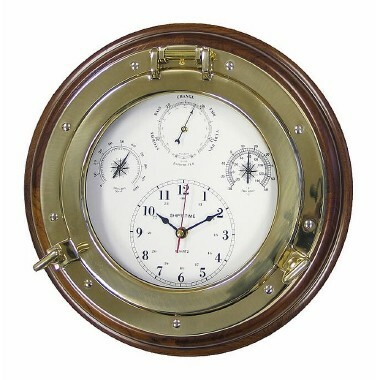 All the weather information you need is attractively displayed in a traditional brass porthole mounted on a teak base. The Weatherman display includes a quartz clock with a sweep second hand, an aneroid barometer, a thermometer that displays temperature in dF and dC, and a hygrometer that displays relative humidity. A gift anyone will appreciate, the Weatherman also makes an attractive addition to your cabin, clubhouse or den. Porthole Dia: 7.8 in 20cm. Teak base Dia: 13.7 in 35cm.